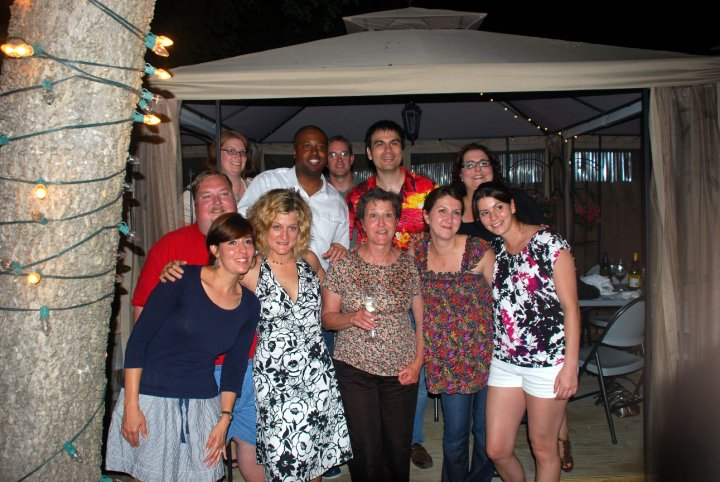 Cathy McFarling Guinn (Fac) organized a mini reunion with several of her students when she and her husband were on vacation in Texas to celebrate their wedding anniversary. Back Row: Melissa Tierney 95, Matt Daniels 94, Marcus Sidney 93, Roger Wong 91, Lisa Natour 94. Front Row: Trey Lawyer 93, Nazli Rampy 92, Cat Mayer 93, Cathy Guinn, ?,?.